2018 Class C State Champions Evan Waddington of Wood River and Ryder Fuchs of Pierce are set to join the NCAA Division II Chadron State Eagles after they both announced they would continue wrestling at the next level on Twitter last week. Waddington and Fuchs were both drawn to the family atmosphere that Chadron State provides. 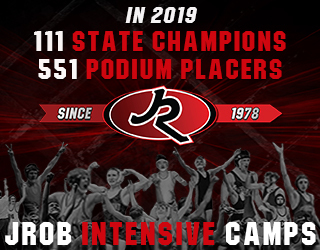 Evan said “One thing that stood out to me the most about CSC Wrestling was the way the team interacted together.” Ryder was impressed after attending one of Chadron’s wrestling camps. Fuchs had a different experience in the recruitment process, as Chadron State was his preferred destination to begin with after attending a camp there. He said that “the recruiting process wasn’t very exciting for me.” His next visit to Chadron sealed the deal. Evan and Ryder are entering their senior season looking to repeat as state champions. Waddington is a three-time finalist and captured his first state title last year. Fuchs broke through with his first state title last season as well, notching a 45-2 record on his way to a gold medal. 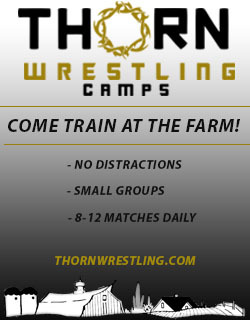 They have both been active in the offseason as Evan has been active on the freestyle/greco circuit participating in USA State, Southern Plains Regionals and USA Nationals in Fargo. Ryder won AAU State Folkstyle and participated in the Disney Duals, notching a 6-3 record and participated in the Maine Exchange. October 2, 2018 in Chadron State (DII), College, High School, Uncategorized. Clasen, French lead Eagles at Nationals.